Graduation for Whitney Johnson is a celebration of many things, but not the end of her academic and basketball career—it isn’t the beginning either. Rather, it’s a bridge to a new adventure where she’ll continue her education both on and off the court. After graduating from Lone Peak High School in Highland, Utah, Johnson was recruited by well-known basketball coach Don Flanagan to play for the Lobos. Johnson had never heard of The University of New Mexico before her conversation with coach Flanagan, but after a visiting UNM’s campus and learning more about the athletic—and just as important to her, the academic opportunity at UNM, she chose to become a Lobo. Her first few months of basketball for a Division I school challenged her mind and took her body to the brink of flat-out exhaustion. Playing with all her heart that game, Johnson made a beautiful left-handed lay-up, but just as the ball was released a defender crashed into Johnson causing her to come down on her left leg—pop! With a torn ACL, MCL and a partially torn meniscus, she was out for the season. In hindsight, this injury was a silver-lining for the longtime athlete. Crediting her faith in God and a renewed confidence from getting herself into the best shape of her life, Johnson returned to the court for a redo of her college basketball career. 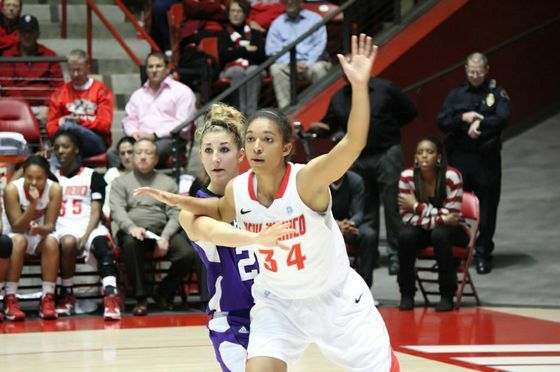 Whitney Johnson playing the post position in a game against Weber State. But sadly it wasn’t. During practice for what would have been her second season fatigue took it toll on Johnson’s body. Right as Johnson was about to touch the second line, she felt a sharp pain in the heel of her left foot. The assistant weight coach had been standing at the line to make all of the players touched it. Johnson had no clue what could have inflicted such pain. Out for yet another season, deep despair turned into a new beginning for Johnson. It wasn’t just the beginning of healing physically, again—it was the beginning of getting to know herself outside of her identity as a collegiate athlete. Embarking on a new journey, with permission from her coach, Johnson went to Mexico City where she would spend the next year and a half of her life as a missionary. 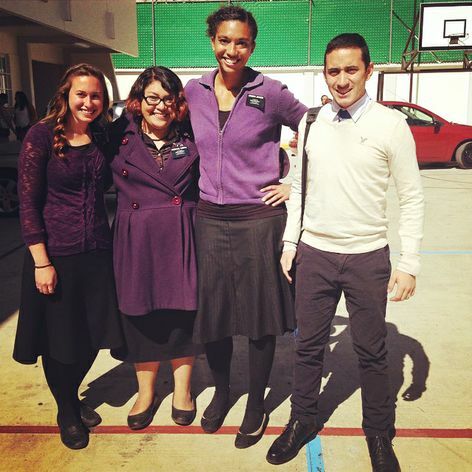 Whitney Johnson with fellow missionaries in Mexico City. Upon her return home, getting back to the business of basketball was difficult. 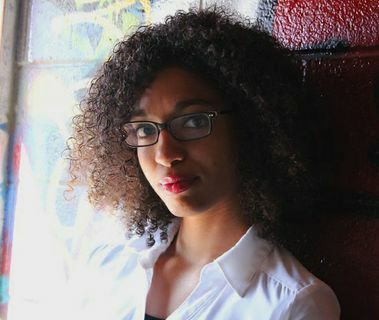 But with a greater awareness of her body and an unrelenting focus to succeed, Johnson found a balance that would protect her body, spirituality and academics. The completion of her second official season as a forward and center for UNM’s women’s basketball came and went without injury. As the season recently wrapped up, so did Johnson’s studies. With an impressive 4.13 GPA, Johnson is graduating this May with a Bachelor’s of Arts degree in Business from UNM’s Anderson School of Management. This summer, Johnson is transferring to Southern Utah University to finish her last two eligible years of college basketball and a master’s degree. Her time at Southern Utah will be a family affair of sorts. Johnson’s younger sister and best friend, Kiana is a guard on the women's basketball team and sweetly enough, her parents can now attend games to cheer on their daughters at the same school where they both played basketball—and fell in love.